Our manufacturing capabilities encompass the full spectrum of fluid finishes including Waterborne, Solvent-borne, and UV-Cured Coatings. Custom Project One frame. 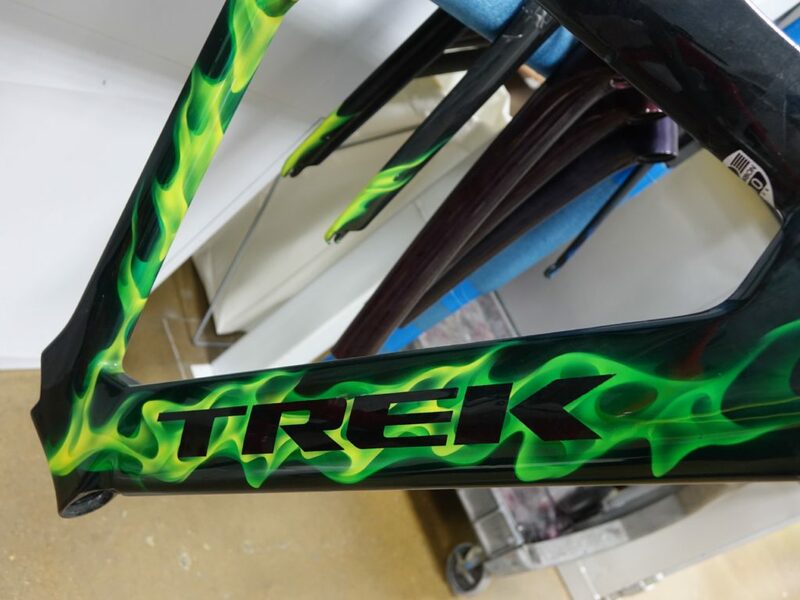 The flame design is not a decal, it’s actually painted on. 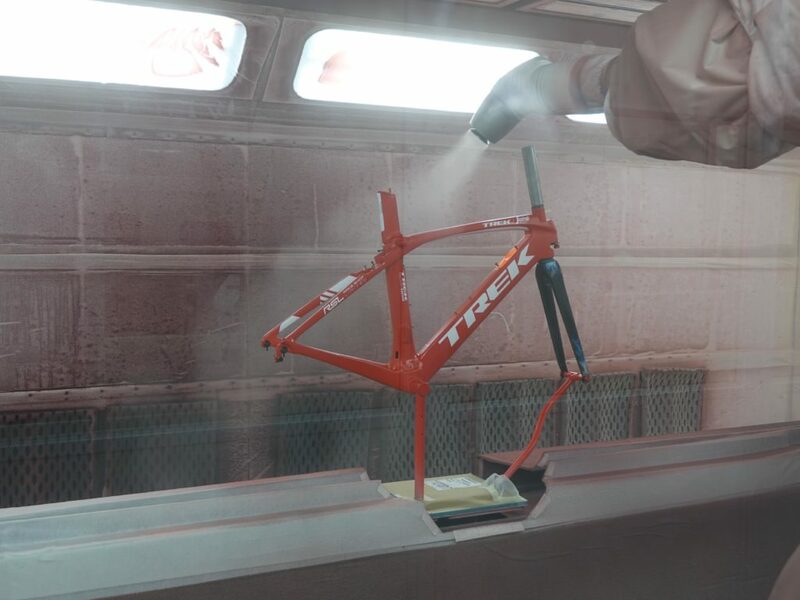 Trek has a highly sophisticated robot that sprays each bike as it comes down the line. 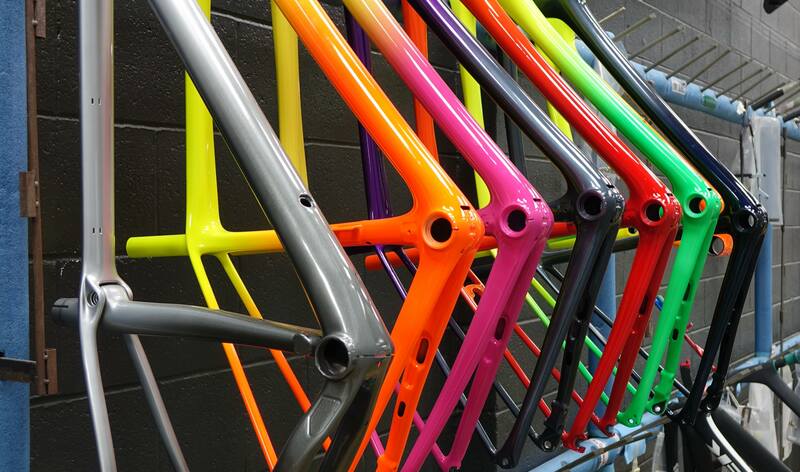 A rack of frames ready to be assembled.